Join us for the ultimate adventure! Experience the thrill of powerless flight in a glider at Sylvania Soaring Adventures! The visibility from a glider is excellent, the experience is unparalleled and the view is spectacular. On a great day you can see the skylines of Chicago and Milwaukee. Weather permitting, Sylvania Soaring offers glider rides, rentals, gift certificates and instruction leading to all FAA glider ratings and is open on weekends from late April through November. 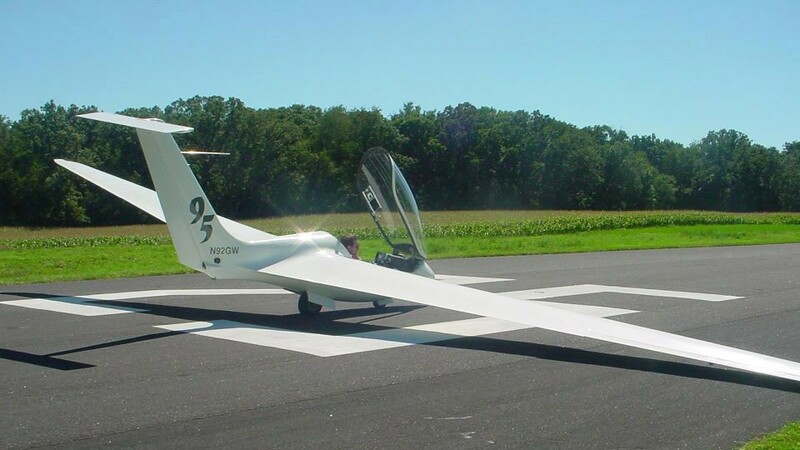 Visit our complete glider and soaring facility at the Beloit Airport which is conveniently located at the first exit just south of the I-90/I-43 intersection at the border of Illinois and Wisconsin. A convenient location for Chicago, Madison and Milwaukee area customers. Spectators and guests are always welcome. Bring your friends and family to the airport to enjoy and participate in the glider activities and fun! Sit under our 200 year old oak trees and watch the gliders, airplanes and skydivers take off and land. Picnic tables and barbecue grills available.